As you may have noticed, Solus filled in for me on Tuesday, and I offer my sincerest apologies for not posting anything yesterday, either. I had some matters to take care of that were a bit more pressing than Sonic Fangames, but I’m back again – and I’ve brought with me SEVEN games to review! That’s right, you get TWO bonus reviews, all in one late, great, super-fantastic article! Sonic 3D is back from last year’s SAGE. 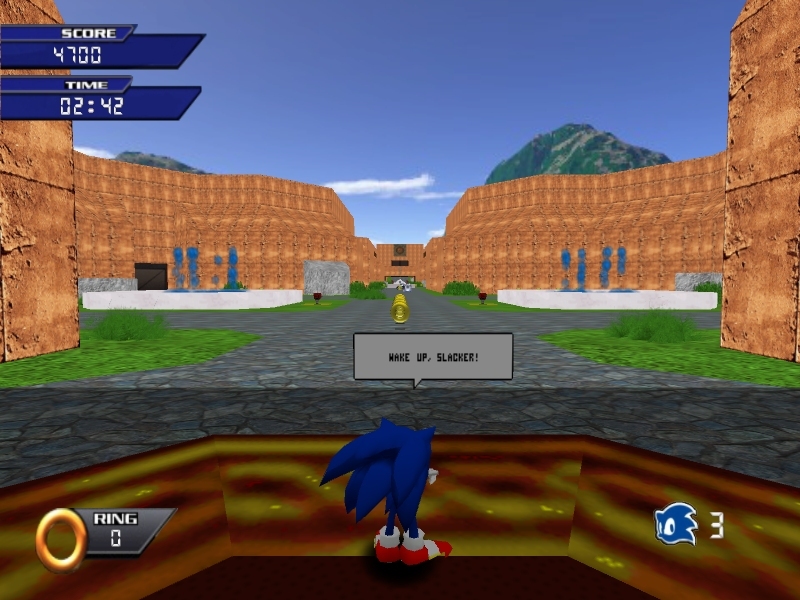 To bring you up to speed: Sonic Robo-Blast 2 uses the DooM engine, Ashura: Dark Reign uses the Unreal Engine, and Sonic the Hedgehog 3D uses the Duke Nukem 3D engine. 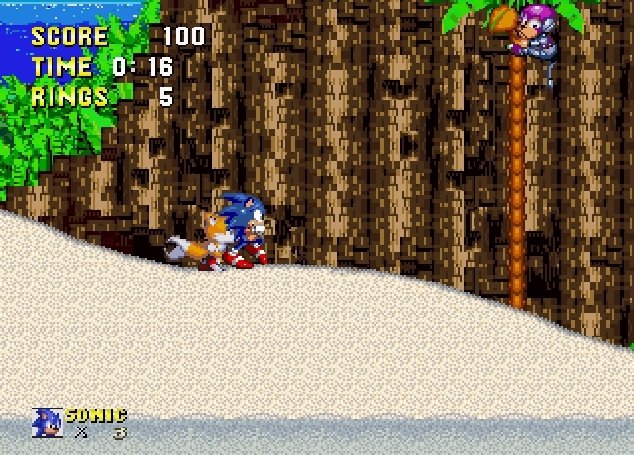 Over last year’s appearance, Sonic 3D offers up two additional maps, a new boss encounter, and a new playable character: Mighty the Armadillo. 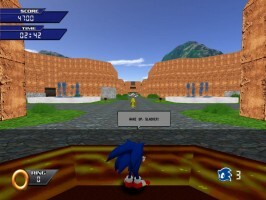 Unfortunately, while a game like SRB2 tries its hardest to transcend the limitations of its engine, Sonic the Hedgehog 3D instead chooses to embrace its limitations – perhaps more than even Duke Nukem 3D itself. Levels are big and boxy, with jittery controls and the occasional collision detection issues (twice I managed to unintentionally break through invisible barriers meant to keep me within level boundaries). Still, I don’t want to sound too hard on the game – it’s definitely playable; it just still has a long way to go, but despite the aforementioned hiccups, it is showing improvement over last years build. One of the many reasons you see other 3D fangames piggyback on the technology of another engine is because making a 3D game from scratch is not very easy. This has never been more evident than it is in Sonic Adventure 3, a game that gets an A for effort but not much else beyond that. Simply put, this game is more or less unplayable for me. 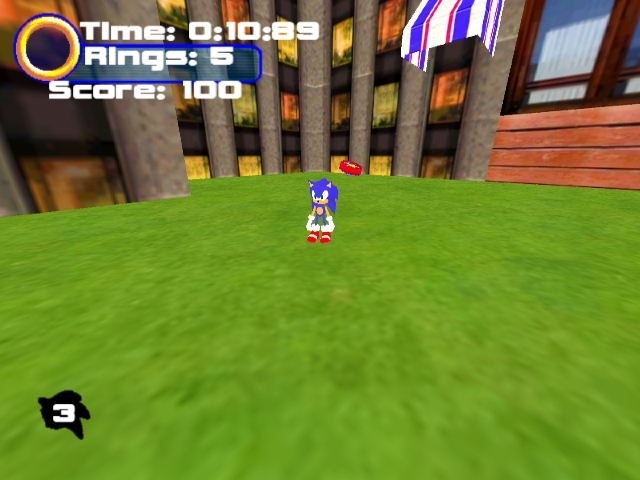 Infact, at first, it was completely unplayable for me, as the implementation of gamepad support made Sonic run straight in to a wall and stand there. Only by unplugging my controller could I play the game for real. Sonic’s slope sensitivity is way too overpowering; the first jump the game asks you to make is from an awning on to another rooftop. Both tasks are extremely difficult to accomplish because of how easily Sonic slips off the awning. Get up on the roof, press a button to make a platform raise out of the water, try to jump for the platform and not make it far enough, falling in to the bottomless pit below. This happened to me no fewer than six times – and worse, instead of dying, the game simply crashes. I can appreciate the level of work that it takes to make it this far, but it’s still got a really, really, really long way to go. 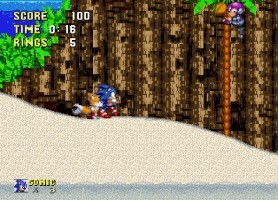 Sonic Genesis represents a growing trend in fangaming: The “classic” game. There was a time where modern portrayals of Sonic were the bees knees; you had games about Shadow the Hedgehog, games with “deep” plotlines, and though those are definitely a factor, they’re far less so. Quite honestly, if Sega wants to track interest trends in the Sonic fanbase, watching the direction that fangames move is probably wise decision. 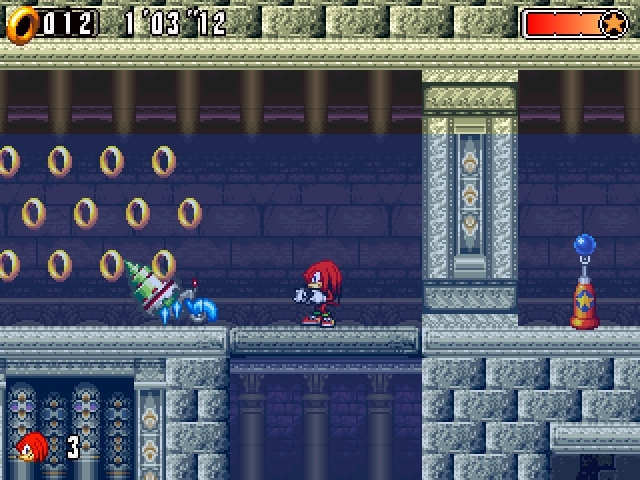 Sonic Genesis offers up the first three acts of Jade Hilltop Zone, rounding it out with a boss encounter. The boss itself is not very challenging at all, but in a way that I would say fits the theme of this being the first zone. Unfortunately, the acts themselves feel a little bit cramped with extremely steep hills and tons of enemies. Physics also feel a little bit funky, making it tricky to get a handle on Sonic. Still, what’s here is decent enough that you should probably give it a look – and I have hope for the future of this game. Continuing the trend of classic-styled games is Sonic Redux, a game that, judging by this demo, sets its sights on mimicking Sonic the Hedgehog 3, from graphics style to mechanics. You’d swear that Palm Coast – the level contained within the demo – was actually a beta version of Angel Island Zone. Impressive level design aside, Sonic Redux flubs some very key elements of a Sonic game: the physics and the camera. You see, one of the biggest gambles with making your game so close to the source material is that every individual flaw becomes that much more apparent. 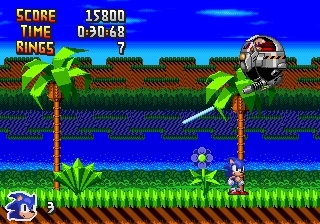 I really, really wanted to like Sonic Redux, but there are too many problems with Sonic’s physics – for instance, he doesn’t get any momentum from rolling down hills. The floaty camera system almost feels like it could induce motion sickness – regardless of whether “Classic Camera” mode is switched on or off. The funky spindash doesn’t even work right half the time, and more than once I got stuck inside of a breakable wall, which instantly teleported me to the top of the screen and killed me for it. It’s a shame that a fangame that looks this good aesthetically can feel as unpolished as it does. If Retronic can clean up some of the lingering nitpicks about Redux, he could have a Triple-A fangame on his hands. 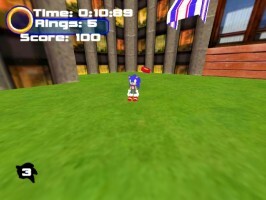 Last year’s demo for Sonic Zero Remastered was, to put it simply, kind of underwhelming. It was a single act set in your typical tropical paradise starting zone, but the problem was the act could be finished in under thirty seconds. You would have to struggle to take longer than a minute to beat the level. It was that short. Thankfully, this year, the demo, while still only one act long, has a bit more to chew on. 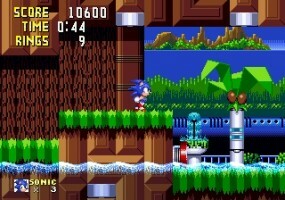 Visually impressive, the level incorporates themes of Launch Base Zone, Green Hill Zone, and even has elements reminiscent of Retro Sonic’s “Egg Garden Zone”. I still wish there was more to it, though; one act demos are something of a cliche at SAGE (one that I myself have willingly participated in). I understand the tight deadline people must operate under in order to have something to show, but having more than a single act of the first level to play instantly makes any SAGE demo far more interesting. Still, perhaps I am being too harsh on Sonic Zero – what’s here is good. Let’s hope we see more than just this one act in the future. Tails Nightmare 2 does not mess around. The game, after all, is not called “Tails Happy Funtime Dreamscape Wonderful Land”, or anything of that sort. The idea is that Tails has awoken in some kind of scary tomb, deep underground, and he doesn’t know how he got there. The game, played via Flash, is a sidescrolling platformer where levels are broken up in to “rooms”. Though there are rings, and Tails has lives, there is no score here. 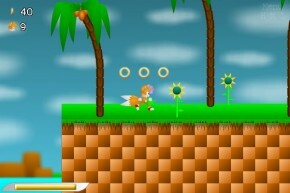 Tails has a variety of moves at his disposal – both familiar and new. Wall kicks, grinding, flight and more await you, with a fully-featured tutorial at the beginning of the game to bring you up to speed. 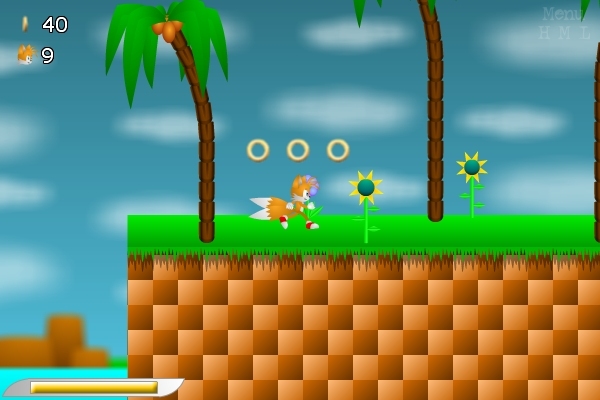 Despite having telltale visual indicators of a flash game, Tails animates quite smoothly and the game works within the limitations of its art style pretty well. If I had to lodge one truly major complaint, it would be that the same handful of enemies and hazards get re-used a lot; this is definitely a game that stretches its gameplay potential out as far as it’ll go. Regardless, much like 2008’s Cosmic Rush, Tails Nightmare left me pleasantly surprised. Since its first appearance at SAGE 2008, Sonic Fusion has seen a steady increase in quality. 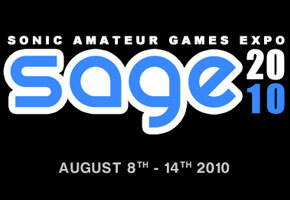 SAGE 2010 brings with it one of the most feature-complete releases yet: Three playable characters, six total zones (including Splash Hill Zone), a brief glimpse of the game’s story mode, and online multiplayer. It’s really quite good – it seems Felik has taken steps to minimize what I initially considered “awkward” gameplay mechanics and the game plays quite smoothly, now. Rather than take the classic approach (as we have seen from many other fangames at the show), Fusion feels a bit more like Sonic Advance 4 in many ways, with Advance 2’s rudimentary trick system, a not-quite-Sonic-Rush boost meter, and a lot of similar visual cues. Each of the three characters (Sonic, Shadow, and Knuckles) play pretty differently from one another, and if the snazzy intro video is any indication, the final game should have as many as six total playable characters. Sonic Fusion has really started to come together in a big way recently, and this meaty demo leaves me wanting more. Baring some kind of natural disaster or personal crisis, I will be back tomorrow – with five more reviews! Can you contain your excitement? Please, contain your excitement. I don’t want to have to clean the rug again.